The Board of Governors of the gaming industry regulator has been expanded to accommodate more members. However, according to Parliamentary Secretary Silvio Schembri, this was necessary to “strengthen” the board. 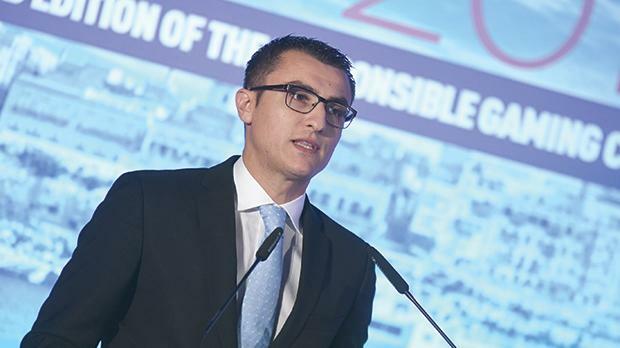 Earlier this month, following a change at the helm of the Malta Gaming Authority through the appointment of fashion retailer Marlene Seychell, Mr Schembri appointed two additional members to the traditionally five-member board, including Roberto Francalanza, a Labour Party employee. Asked on the need for the extra members, when the MGA board was usually composed of five and not seven members, the Parliamentary Secretary justified his decision as a measure “to strengthen the already valuable board of the Authority, through the introduction of different business backgrounds”. Mr Schembri defended the appointment of Mr Francalanza – who used to serve as an assistant for former Labour leader Alfred Sant – on the specialised board, stating that he “has extensive knowledge in the human resources and corporate affairs fields”. Mr Francalanza currently holds a managerial post at Labour’s One TV. Apart from the new chairwoman and Mr Francalanza, the MGA board is now formed of Chris Cilia, a former Labour candidate and the deputy chair of the MGA, Caesar Grech, Jacqueline Grech, Juliana Scerri Ferrante and Ruth Trapani Galea Feriol. They are all entitled to a €7,000 a year remuneration as members of the board. The appointment of Ms Seychell in July drew criticism from the industry as notwithstanding her background in entrepreneurship, she lacked knowledge of the industry. However, following a good showing in front of Parliament’s newly-appointed public appointments scrutiny committee, she was given the green light by both sides of the House. Though during the parliamentary hearing she had denied any conflict of interest, despite that at the time she was sitting on the board of the Main Street Shopping Plc – a company chaired by Joe Gasan, the owner of a bingo hall in the same mall – Ms Seychell re-signed from her private role once she was appointed MGA chair. Prior to 2013, Ms Seychell had publicly endorsed Labour leader Joseph Muscat and declared that she was switching her political allegiance.